Design, which is a combination of functionality, innovation, uniqueness and style is the most important process in building great products—and design thinking the best approach. Design thinking applies creative and technical thinking to the development of a product, drawing from the designer’s toolkit to integrate the needs of consumers and the possibilities of technology. Paying special attention to patterns of customer behavior is key to the successful development of new products. The most imaginative companies are now engaging in conversations with consumers, tapping into their minds and comportments to co-create products, solutions and user experiences that are truly resonant and relevant to their lifestyles. 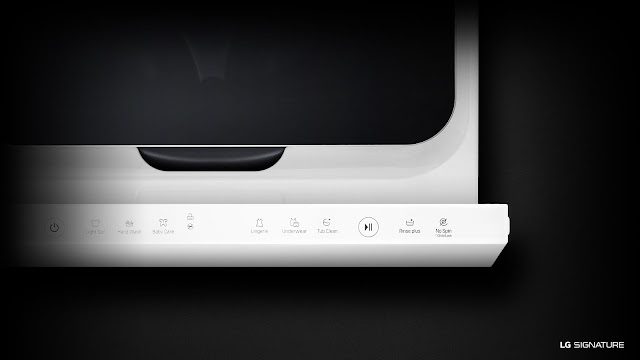 This consumer-oriented approach to design is the principle behind LG Signature, a collection of intuitive home appliances that advocate an authentic lifestyle in which cutting-edge technology, smart functionality, and ergonomic design co-exist harmoniously. This ultra-premium line gives customers a unique living experience in terms of innovation and usability, at the same time allowing the home to evolve into a multifunctional space for living, working and socializing. 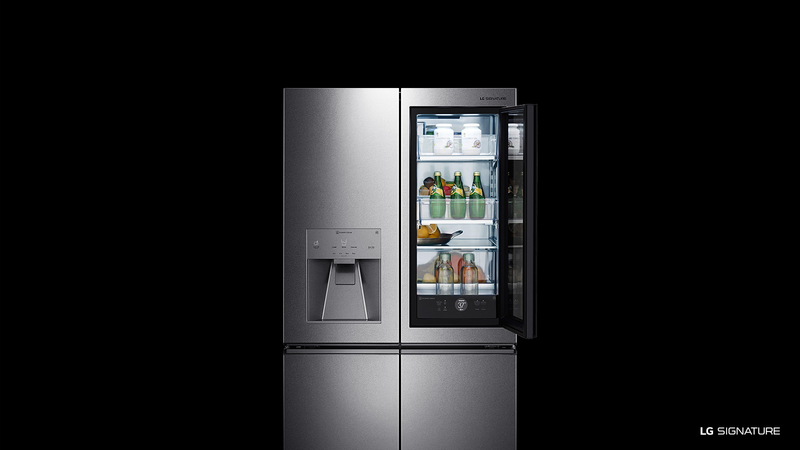 Fusing sophisticated technology with contemporary minimalist style, each LG Signature premium product is thoughtfully designed to be visually captivating, while delivering the most elegantly curated, state-of-the-art experience. There’s the ultra-thin picture-on-glass LG OLED TV W8, which takes the immersive viewing and listening experience to the next level with ThinQ, LG’s artificial intelligence (AI) platform. ThinQ allows users to issue basic function-related, voice-activated commands to the TV, involving volume control, internet access and image settings. This smart TV is also buoyed by the new α (Alpha) 9 processor, which provides the highest picture quality, but with improved color performance and noise reduction. The W8 also supports Dolby Vision and Atmos for a more cinematic home entertainment experience. Also combining function with timeless style is the LG Signature Refrigerator, the LG Signature Washing Machine, and the LG Signature Air Purifier (all three are not available in the Philippines). 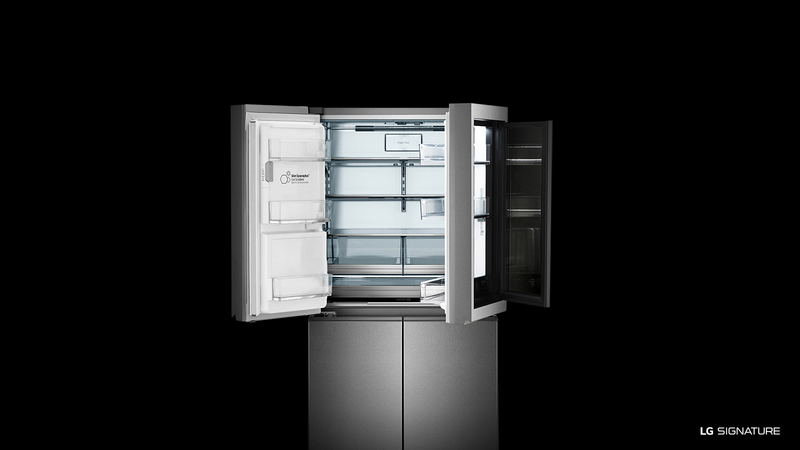 These beautifully crafted appliances offer impeccable performance and peerless design right down to the smallest detail. The highly stylish LG Signature refrigerator has an InstaView Door-in-Door feature which enables users to rap on a black-mirrored panel and see what is inside the fridge without opening the door, thus helping conserve energy. Stainless steel interiors help maintain cold air, and combined with a textured steel, scratch-resistant finish, provide a stunning design. 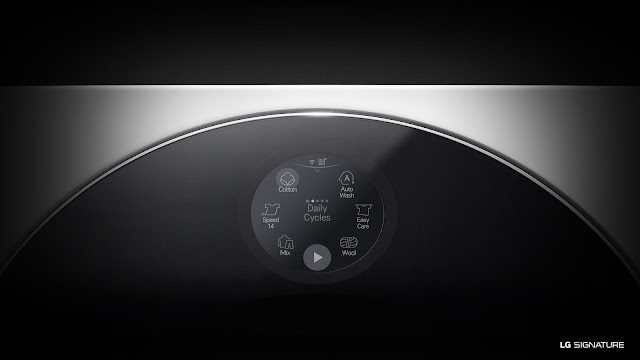 The beautifully designed LG Signature Air Purifier is also done in stainless steel, a durable shell that houses advanced features that can harness the power of water to filter out dust, chemicals and contaminants while quickly adjusting humidity levels to maximize comfort. 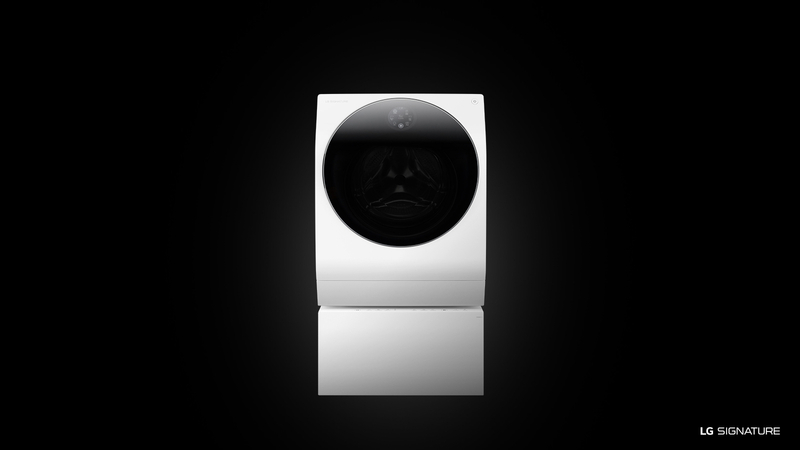 Even the washing machine, often relegated to the very back of the house or in the laundry room, is given the luxe treatment. A sleek matte enamel coating protects the surface of the washing machine from scratches and corrosion, while a touch-enabled Quick Circle User Interface is embedded on the the glass door for a seamless look. Function-wise the washer has an ingenious TWINWash systems that allows for two loads to be put on simultaneously or smaller loads to be done more frequently. True design happens when it makes life easier, more convenient and more comfortable. The needs of consumers continue to evolve every day. LG is taking the time to understand what matters most to its consumers, continuing to develop products that are built around the lives people lead — and the lives they want to live.